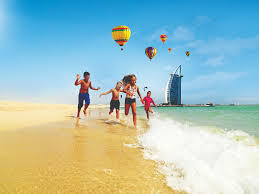 Are you looking for Dubai vacation trip? That is fine. Dubai is one of the favorite places of tourists. You know almost 12 million people visit Dubai in a single year. If you think to visit Dubai is not costly then you are on the wrong side. To visit Dubai on vacation is very costly due to high prices of air tickets and hotels. Besides this, all remaining things are equally like Europe. 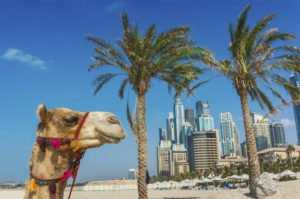 In this article, I will tell you how much cost is necessary when you visit Dubai on vocations and some tips for saving some money. Dubai vocation cost depends on you e.g. when you book a flight, which hotel select, which places you visit, etc. Flight costs can vary according to your geo-location but in Europe, its average cost is almost $400-450. If you book your flight before 2-3 months then you can save up to 30-40% money of flight. Dubai is worldwide famous due to its luxurious and sky-touching hotels. These hotels also charge high amount of living here. However, a normal man can afford some hotels. The cheapest room in the Dubai for one night available in $3-4. The hotel prices depend on location in Dubai. The best way to find suitable hotels in Dubai is to visit different online hotel booking websites. Search website and book desired room in Dubai hotels. If you want to enjoy vacations in Dubai then for visiting different places you need to hire a taxi. There are different types of taxi services available in Dubai. You have another option, travel through metro or book a car on rent. Most visitors prefer to book a car on rent on Dubai for their best experience. The rates of food in Dubai much like the other European countries. There are hundreds of places in Dubai, where you can enjoy high-quality food 24-hours. For your best experience, you can search online some restaurants and choose. Most restaurants offer individual and family packages to his customers. If you are on vacations with family then should choose a family package, this act will save your money. Their average prices of different foods are following. There are hundreds of eye-catching places in Dubai which every tourist or visitor want to see. However, these places have high prices tickets for visiting them. Some famous places and their booking rates are mentioned below. The Dubai vacation cost depends on you but by reading this article, you can estimate your expenses. I have mentioned all the expenses of flight, taxi, hotel, food, and tickets of visiting places. According to the analysts, for a one week, Dubai vocation cost is almost 600-700 dollars. These numbers can increase if you choose above 4-star hotel and visit more expensive places, etc. I hope this article will help you when you planning a Dubai vocation.